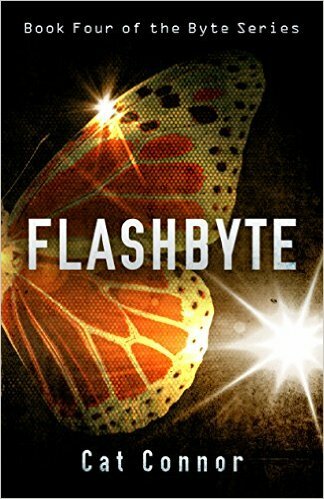 FLASHBYTE – the 4th SSA Conway thriller. Woken by the news that she’d been strangled in a parking lot, SSA Conway knew it was going to be an interesting day. The incident escalated into a week from hell with bank robberies, snipers, truly bizarre packages, and more reports of her death. What Ellie did not expect was old friends (good and bad) reappearing, see-sawing with more than the usual amount of kickass energy. Just so Delta A didn’t get bored, the universe tossed in an extraordinary rendition, lost memory, and a visit to the past that anchored the present. My insides were like jelly being whipped into a maelstrom. The more he talked the more memories surfaced and the sicker I felt. I finished the coffee and threw the cup into the trash. My fingers massaged my temples hoping to stem the brewing headache. It’d been a long time since I’d heard that name. That name hung on the desperate voice of a colleague and warped with memories of Ameer Reza Sedghian.